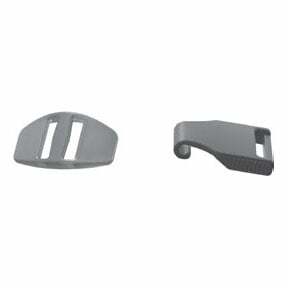 You are buying the Simplus Headgear Clips And Buckle Fisher & Paykel 400HC587, manufactured by Fisher & Paykel. Fisher & Paykel is a leading manufacturer of CPAP Headgear Accessories and CPAP machines. At ADW Diabetes, we do offer the complete product line by Fisher & Paykel at discounted pricing. You are buying the Simplus Headgear Clips And Buckle Fisher and Paykel 400HC587, manufactured by Fisher and Paykel. Fisher and Paykel is a leading manufacturer of CPAP Headgear Accessories and CPAP machines. At ADW Diabetes, we do offer the complete product line by Fisher and Paykel at discounted pricing. This is the Headgear Clips and Buckle for Simplus Full Face CPAP Mask. It is a pair of headgear clips and a single buckle for the Simplus Full Face CPAP Mask with Headgear. This is a pair of headgear clips and a single buckle only. This product does NOT include the headgear or mask. Those items can be purchased separately. Please see Simplus Full Face CPAP Mask with Headgear to view the entire mask.